Here in Knoxville, TN is it that time of year to bundle up when going outside. My instructions for DIY microwavable hand warmers will be great to beat the cold but also makes a great stocking stuffer. 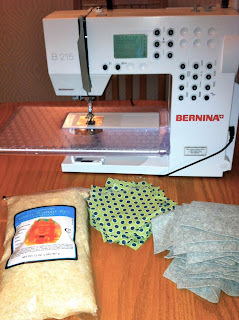 Lay your decorative fabric squares on top of your fleece. Match the 'right' side of your square on top, facing each other. Sew your pieces together leaving a 2 inch gap to turn your fabric inside out. Cut the corners for pointer corners when folded. Fold inside out through the 2 inch opening. 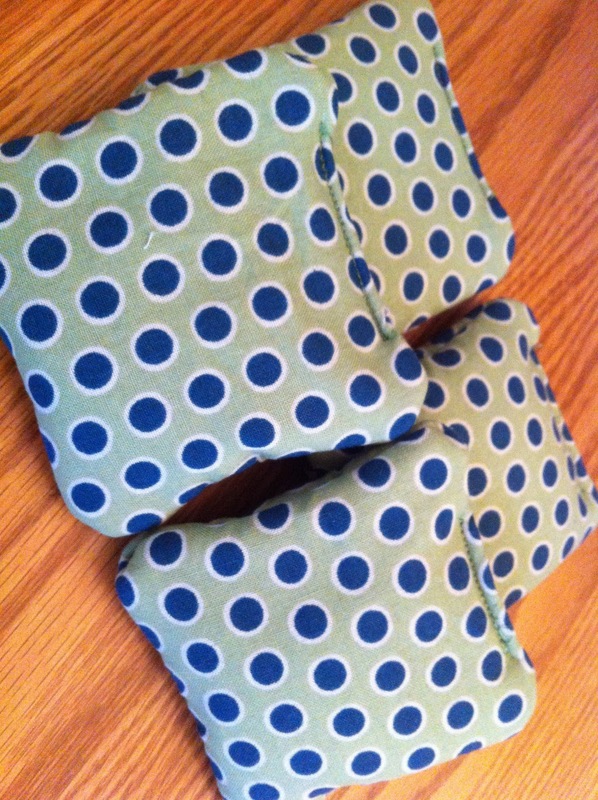 Stuff your hand warmer with 1/4 cup rice. 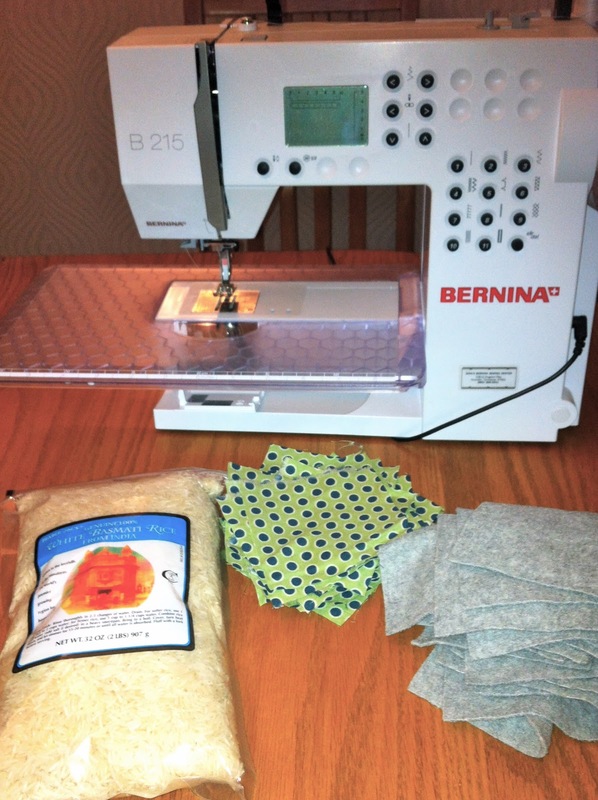 Hand stitch or machine stitch your 2 inch opening to enclose the rice. Ta-da! To use, microwave for 30 seconds for 1 hour enjoyment. Keep in the freezer as a cold pack for small injuries. My instructions can be adapted to make a body heat pack, I made a 10" x 6" heat pack/ headache cool pack using the same method.